FTR has moved to fairytailrevolution.jcink.net! Ren was really quite attached to Kotone. She was Ren’s best friend. And Ren didn’t… exactly have friends. She sort of did, if having just one counted. Ren was very shy. She had been improving, but she was still on the awkward side. She hadn’t told Kotone about why she was the way she was, but they still got along alright. Kotone was really nice, and she was around more often than usual. Ren didn’t know it was because Kotone apparently had a thing for Kade. Ren wasn’t oblivious, she noticed something between them, but she didn’t often see the two of them together at once. Ren was wearing her hoodie. That hoodie saw more sun than any amount of Ren’s skin. She actually probably should have gotten another hoodie. Ren was actually losing weight. While she had no real fat on her body she had been gaining a bit of muscle. It didn’t make her any warmer, but since it was a warm climate, at least she didn’t usually have to worry about that. She could probably use a second hoodie though, but she never had the impulse to get one. “I’m glad you’ve been around more,” Ren said, kicking her legs back and forth from the balcony. She had a habit of sneaking up here, able to watch the dining hall from the safety of her shadows. Of course, people could come up here… but generally speaking they didn’t. Especially with the damages, but Ren knew it was safe, she had checked. Kotone was becoming good friends with both Kade and Ren as time went on. She’d had friends before. She’d never called them friends, and certainly wasn’t a great friend, herself, but there were people who had looked out for the little rebellious dragon slayer. Now that she was actually starting to mature, however, she found herself attaching to her newer friends. Now that Ren wasn’t just a ball of awkward, she was one of Kotone’s favorite people to talk to. She was honest and nice, and rather non-confrontational. Sometimes Kotone needed non-confrontational people around. Ren helped her feel better in general when she was being hard on herself, and that had included during her time of being less of a hero, and more of a wizard in training who also happened to want to be around people she trusted. That wasn’t important right now though. Even though she wished Kade were around, she was content to hang out with her best friend. She didn’t have to worry about whether or not Ren noticed her the way she wanted her to, because she didn’t have a special way Ren wanted her to notice her. They were just good friends that had somehow come together completely by chance, and Kotone was okay with that. Kotone leaned against the wall next to the balcony as Ren sat in her favorite spot, mostly unnoticed now that the dragon slayer was a regular sight at the guild hall. “It’s been fun being around,” Kotone admitted as she watched the people below. People were a lot more spread out when Kade wasn’t around. Down below, the girl named Astra who occasionally bugged Ren was getting a little too in people’s space, and they were losing patience slowly. They seemed to be used to her antics though. She was an odd kid, but Kotone didn’t know her that well. She seemed to like talking to Ren when she ran into her, though she never seemed to come up to Ren’s private spot. Maybe she wasn’t as oblivious about privacy as she acted. “I’m starting to see what Kade was saying about your guild mates,” she chuckled, watching Astra get bribed with some sort of fruity alcoholic beverage so she’d stop jabbering for a moment. “It must be nice to have people to come home to, even if you don’t talk to them much.” Sid piped up with a meow, as if agreeing. He was sitting and determinedly leaning into Ren to get his head scratched. If Kotone wasn’t so attached to Sid, herself, she might have just suggested the two stay together, as much as they liked each other’s company. Kade was a cool guy. Ren noticed Kotone was odd around him. Not like how Astra was though. Astra, around Ren, was… yeah. Well, she had mellowed out. She wasn’t flirting with Ren or calling her pretty or trying to buy her cupcakes anymore. It was appreciate. Ren had developed an appreciation for Astra, and while she was able to be more comfortable in existence, she was more comfortable with being nice to someone who, for some reason, liked her company. The two powerful wizards sat today and watched the Lamia Scale members. What did Kade say about them? He said a lot of good things. “Yes… they are nice people. I like them okay,” Ren said, tugging at her sleeves a bit. Ren did let one of her hands remain visible though. She had to scratch Sid on the head as he mewed at her. “They are nice people. I’m just not good with people. Nothing good ever happens when I try to get involved with people…” Ren said, biting her lip a little and continuing to pet Sid. She was surprised to see anyone else approaching them. It was a young girl that Ren had seen around a lot. She had on a loose tank top, and her skin was pretty fair for being that exposed. Ren remembered her liking the cold or something. Summer certainly wasn’t that cold. She also had pink hair. Ren looked at Kotone, and her hair. So much less vibrant than pink. “Hello. Miss Kotone, Miss Ren,” she said, giving a nod to both of them. Ren pulled her hood up a bit around her neck, but not over her head. Not yet anyway. The girl seemed upset, and Ren wasn’t sure why. “I know you both are quite powerful. You’re a dragon slayer, and I saw you in the tournament,” she explained. Ren kept scratching Sid’s head. “I’m from a village called Orrico, and they are having problems. They’ve been attacked and I don’t know what to do. I know the monsters in that area are really scary, but I don’t know if that is what is happening. C-could I ask you for help?” she asked. Ren looked at Kotone. She would have been fine to do this on her own, but with Kotone there she refered to her first. Not that Ren might be able to handle the task on her own. She didn’t know all the details, but in general she agreed to help when she was asked. “Oh! And, I’m Dreya. Sorry I didn’t introduce myself better…” she said. Ren liking people okay was actually a pretty big compliment as far as Kotone could tell, and the dragon slayer smiled one of her more human-like smiles as she looked down at the people below idly. The pair had two things in common – an absence of real family, and a general discomfort around people they don’t know. Kotone just didn’t show it the same way, and she was getting better at hiding it. “Nothing good, huh?” Kotone asked, glancing back at the smaller yet older girl. She gave Ren as gentle a grin as she could muster when she had a thought that countered what Ren thought. “I guess brunette girls who wouldn’t even call someone a friend until they met you doesn’t count,” she chided in a gentle voice. Sid was paying no attention to the conversation going on. He seemed to be in heaven at the moment, the way his chin was getting scratched. Kotone’s superior senses easily caught the change in the cat’s purring volume above the other noises being around the main hall brought with it. She only shook her head at his spoiled behavior. He was pretty adorable. He probably got it from her, or so she thought jokingly as she recalled Kade saying she could be a model and blushed subconsciously. Yes, Ren liking people okay was a pretty good compliment, that was true. It didn’t sound like it, but it was. She didn’t even think about it. She tried not to think about social things. She got more upset the more time she had to dwell on things. It was better if she just didn’t think. Or maybe if she thought her way out of her hole. Nope, that didn’t work. Kotone honed in on Ren’s comment about nothing good happening. Brunette girls? What? Oh… Kotone. Ren looked away. It was different. Nothing bad had happened yet. She just liked Kotone too much to ignore or avoid her. She didn’t need the reminder that it was probably going to end terribly. Dreya seemed highly upset, and Ren could only imagine how she felt. She rarely tried to imagine how people felt though. She was only the awkward side of all social norms, so it wouldn’t do to make wild guesses. She’d been more normal way back when she was around Anya… but that was long gone, clearly. She forced herself to remain calm as Dreya talked. She was from a small place, way out there. Kotone was right that it wasn’t on a map, not that she’d said that much. Ren wasn’t the best at geography, but she wouldn’t be surprised to hear this. “Oh thank you,” Dreya said. She was apparently wholly unconcerned with Ren’s clumsiness. “I can draw you a map of how to get there. It is very cold there. I haven’t been able to find anyone to go investigate. I asked someone to go, but they just said they would get around to it and I don’t know if they ever did. When do you think you can look into this?” she asked, looking from Ren to Kotone. “… anytime…” Ren said quietly. Kotone said nothing about Ren’s clumsiness, partially because she was used to it, and partially because she would probably only be clumsier if she were thinking about it. Plus she didn’t want to call attention to Ren in front of people. She nodded in agreement with Ren though. “We can go as soon as you’re ready,” she told the woman. “It sounds like people have been waiting on a couple of saviors long enough.” Kotone had been a little tired earlier, to be honest, but she didn’t feel it now. She tended to get more energy when it came time to play hero. Or rather… actually be a hero now that she wasn’t being a jerk about it, even in her head. Being a hero sounded intimidating. It was intimidating, in fact. At least Ren had done so before. She had some experience, she knew what she was doing. At least she knew enough not to completely fail. Besides, she had Kotone here to help. It was nice that no one pointed out Ren’s clumsiness. Were she given proper training to hone her natural dexterity and agility, it would be amazing to see what could come of it. Given no training, and at most a sense of ignorance about her own limbs, Ren was as awkward as ever. Confidence was a foreign and additionally intimidating thing. She knew what she could do, being confident was unnecessary… right? 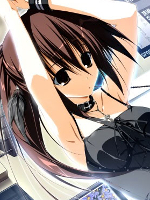 Ren headed to her bedroom, putting on a pair of pants, and packing a small bag of things. She knew enough about Dreya to know that if she actually lived very close, it wouldn’t be so cold where she lived, and also, she would have gotten help sooner. So it made sense to pack a bit extra. Besides, the extra warmth, even on a summer’s day, didn’t bother Ren. She was easily cold, so this was just a bit of padding. Dreya found them, giving them a map and explaining it. Ren nodded quietly and then looked to Kotone. “Are you going to bring Sid? Or… he can stay in my room if you like. I don’t know what you want to do. I bet Kade would take care of him,” she offered, not sure what all would happen. Kotone waited for Ren to pack, her own traveling gear already packed, considering she didn’t exactly live at Lamia Scale. She wasn’t nervous about the job. To tell the truth she was kind of excited though. She’d been going through a slump lately, where she’d been dealing with her own life more than that of others, her time spent with Kade and Ren included. She felt like she’d put off other things long enough, and she was more than happy to help the woman. She could work with her best friend at the same time, odd as their best friendship was. Not that Kotone thought she was capable of a relationship that wasn’t slightly odd. Being a hero wasn’t intimidating. It was who she was and what she was raised to do. Failing to be a hero because of shortcomings – now that was intimidating. She’d accomplished it quite well for a bit, and now she felt like she was more on the right track. Those closest to her had simply acted like they understood rather than beating sense into her, which she sort of disliked. Kotone wasn’t against people getting rough if necessary, and she wasn’t proud of a few things at this point. Finally, Ren returned with her stuff. She was dressed as if they were going into somewhere cold. She felt a bit sorry for Ren since she couldn’t help the girl be warm, but she was happy she’d get to enjoy the cold a bit, at least. Ren asked about Sid who had followed Ren to her room and back. “I’ll ask Kade to take care of him,” Kotone answered with a nod. It was a chance to talk to him again, after all. Ren didn’t waste time with packing. That was to say, she did so as quickly as she could. She knew she had a good bond with Kotone, but she didn’t really know she was Kotone’s best friend. It still scared her to imagine having friends. Even though it was clear she had friends… she just had too much baggage to accept that without a struggle. She spent a fair amount of time helping others, even with her own assumed incompetence. This was just one more thing. However she worried how difficult this would be. At least she would have Kotone, and Kotone made everything better. Kotone had completely different thoughts on being a hero than Ren. Ren returned with her things and asked about Sid. Kotone decided to leave him with Kade. “Alright… um, should we find him? Or… do you want to find him yourself? I don’t know. I can look over the map…” she said, unsure of what to do exactly. She was sort of anxious to be leaving, but it wasn’t anyone else’s fault. Kade was simply out in his garden at the time. He would be happy to watch Sid, of course, he simply needed to be approached about this first. “I’ll find Kade,” Kotone told Ren gently. She had ulterior motives for wanting to see him alone, of course, and Ren offering made it easier to do so. “It’ll only be a few minutes. We can go as soon as Sid’s dropped off.” Sid meowed his goodbye to Ren as the dragon slayer carried him off in both arms rather gently for the rough and tumble girl she was. “We’re not going to be gone long, you know,” she told Sid. “It’s that it’s cold, and you’ve had a runny nose. You should relax here with Kade if he’ll take you.” Another meow escaped the black cat’s lips. It sounded like a protest, but Kotone knew what was good for him. After a bit of walking she’d located Kade. “Hey,” she grinned at the back of his head. “I uh, was wondering if you could watch Sid for me. I don’t want him getting sick again so soon and you did such a good job with my book…” she rambled a bit. She grinned the whole time though, and was in a pretty good mood when she came back weighing exactly one Sidney less. She adjusted the Katana on her back, her brownish eyes looking over Ren quickly to make sure she looked okay for the trip. Ren knew where they were going, Kotone hadn’t asked yet. “So, you ready?” she asked with a grin. “It’s got a little less Sid than I prefer, but we’re actually getting to go on a bit of a trip together,” she informed Ren, though she obviously already knew this. “How cool is that?” Ice dragon slayer pun not even slightly intended. “Bye,” Ren said, waving slightly at Sid as he was carried away. He was such a clever and sweet cat to her. She knew that he wasn’t always sweet to Kotone, but that was just because they were so close. Ren liked him quite a bit. When Kotone found Kade he was working. He was perfectly happy to take her cat for the time being. He still wasn’t sure how to handle a cat, but knowing that he was Kotone’s… he would be well cared for. He told her that he would watch Sid, and allowed the little cat to wander around the garden area. As long as Sid didn’t try to harass the rabbits, Kade and him would have no problems. Upon Kotone’s return, she had asked Ren if she was ready. In response, she told Kotone that she knew the blond girl – she wouldn’t say she was ready for anything, but she would be good. Possibly because Kotone was coming with her. Kotone’s grin widened at the giggle, though she blushed a small amount at the small girl’s praise. She could soak up praise even after her recent adoption of a more humble disposition, but from Ren it was… well… Kotone rubbed the back of her head as she blushed and chuckled. “I can’t be *that* impressive,” she insisted to Ren, knowing full well that to insist she wasn’t impressive at all would be a blatant lie just for the fact that she was a dragon slayer. “We ah, we should walk,” Kotone decided without a moment’s thought as her flattered blush faded. She pulled up her hair and put it in her ponytail, tied with a pink ribbon she’d discovered recently. She rarely wore girly colors. “I get motion sick riding like… anything,” she told Ren, who hadn’t seen her ride anything for a very good reason. “Besides, walking with you would be more fun than having some other guy with us driving us everywhere,” she reasoned. Kotone was a lot better, but she still vastly preferred familiar faces. It was true though. Kotone did know Ren, and Ren was this way. Ren was quite capable of dishing out praise, but completely unable to accept any. She was a talented young woman, but she just couldn’t handle it when people praised her. She didn’t feel like she deserved any of it. There were things that she would never be able to make up for, and given that, she would never be truly whole again. This wasn’t necessarily true, but it always felt that way. Kotone was amazing. She was the Wonder Woman to Ren’s… misplaced squirrel. “Oh, you are. You really are,” Ren told her with a quick and firm nod. Kotone was all of the impressive. It was just a simple fact. Ren asked if they should take the trip by foot or by other means of transportation. Kotone said they should walk, which surprised Ren. Wouldn’t it be faster to do it the other way? Oh, apparently Kotone got motion sick. Well, Ren didn’t want to make her friend suffer. “Oooh… okay then. We can walk. I’ll keep up a good pace,” she said. She felt more comfortable talking about random things instead of talking about actually doing something. She could keep up a good pace, despite being constantly underweight and underfed. Some day it would come back to haunt her. Some day she would just collapse. She didn’t realize that though, and it wouldn’t be today. She smiled some when Kotone said it would be better than some other guy driving them. “Okay. Um…. So… what do you want to talk about?” she asked. It was such an open opportunity for them. There was a lot they didn’t know about each other, despite being close, but Ren wasn’t going to offer things up unless she was asked. Even then it was a difficult sell. What did Kotone want to talk about? Kotone rarely stopped to think what she actually wanted to say, for better or for worse. It wasn’t that she often said things that were stupid or not well thought out. It was just that she wasn’t the most social girl in the world, and when she stopped to think about it, it could screw with the way she thought about what she should talk about. “Uh…” she thought for a moment. “Well, we can talk about whatever I guess,” she shrugged. “You know what used to be my biggest secret,” she decided to tell Ren. “Mostly because a kid has a hard time hiding things sometimes… but… I mean, if there’s anything you’d like to know, we can play question and answer?” she decided after a long moment. Kotone put her hands in her jacket pockets, letting out a small, semi-contented sigh. She didn’t really know what she would ask, herself, yet. She wasn’t good asking questions. Not personal ones, anyway. “I guess that means you can go first?” she decided. “If you want to play of course.” Kotone liked the crisp air outside. It felt great on her skin, and made her feel more alive. Being an ice dragon slayer was great sometimes. Especially when it was starting to get colder out. Was it ironic that Kotone didn’t think about what she would say before she said it? While Ren didn’t always think about what she said… that was because she didn’t talk. Okay, so maybe she always thought about what she was saying. Her mind would run on full panic mode as she struggled to say something less than stupid, or get out of the conversation as quickly as she could. Or maybe just think about how horribly she was stuttering. She didn’t have to do that with Kotone, but she certainly did it a lot in general. “Um… I wouldn’t know what to ask,” Ren admitted at first. She could think of something, surely, but off the bat, she didn’t know what to say. However, it appeared they would play question and answer. Huh… so Ren had to go first. “Um… I don’t… mind,” Ren said. That was right. She didn’t mind. She cared, but she didn’t exactly mind. While she could say odd or awkward things to Kotone, the real difference was that she did not feel bad about it when she was with Kotone. It was nicer. For a girl who had grown up learning that her only value came from what she could do, and how well, it was a rare feat for her to accept not being judged. Did Kotone ever want to stay in one place? Well, that was a complicated question. She scratched her cheek as she thought. She’d been spending a lot of time around this area, truth be told. She’d been visiting Ren and Kade, and often she was at her happiest when she was around the other dragon slayer and he was paying attention to her. It was weird, and she’d never quite figured out how to process that. “I um… well, I like having friends now,” she admitted semi-quietly, looking over and giving Ren a grin. “You and Kade are my best friends. I mean… you’re my oldest friend and…” she wasn’t sure quite how to say it. Screw it. “Well Kade give me butterflies... but don't tell him...” she admitted, finally confiding in Ren… sort of anyway. She shrugged, blushing a bit. “Er… anyway…” she hesitated a moment before actually trying to move on to the rest of the question. Ren wanted Kotone to want to stay in one place. She wanted to see her friend more often. Kotone was amazing, and Ren liked spending time with her. So if she stayed in one place more, Ren could stay in that place more. Even if Kotone was staying at her house, that Ren hadn’t seen, Ren could go there and visit with her some time. It would be nice. It was strange for Ren to be so actively seeking attention from and time with anyone, but she certainly did like Kotone. She was much more comfortable around her than around anyone else. Ren smiled when Kotone said, although a bit quietly, that she liked having friends. Ren and Kade. Ren hoped Kotone liked her better than Kade. Not just because she really liked Kotone, but because they’d been friends a lot longer. If Kade and Kotone dating suddenly meant more than Ren and Kotone’s strange friendship…. That would eat at Ren. She was already prone to a lot of doubt, but she was happy for right now. Kade gave Kotone butterflies. Ren blushed a little and smiled, “I won’t tell him.” No one gave Ren butterflies. “I don’t think I’ve ever had those…” she admitted, even though she had dated in the past. Happier than before, but not sure if she could. Kotone shrugged and asked Ren if she was willing to travel more. “Um… I guess… I’m… I’m not good at surviving. I wasn’t good at it when I was homeless, and then I had to do it… b-but I’m not so good at it now either. Its safer for me to stay with the guild where I have food… but I guess… I could. I could travel more… with someone who knew more about travel. But I prefer staying at the guild… even though I hide from people… ” she sighed a little. She didn’t think about the fact that she was supposed to ask another question. That could come later. “Neither have I,” Kotone agreed, when Ren mentioned she’d never had butterflies. “It’s weird.” She walked, listening to Ren talk about how she wasn’t very good at surviving. Kotone chuckled lightly, noting Ren’s skinniness. She didn’t know enough about medical to worry as much as some people about her weight. “But hey, I’d take care of you. I’m great at hunting and gathering things when I’m on the road. Sometimes I don’t even bring food.” Kotone had hunted since she was a little girl, so she was more than capable of such things now, often with very little effort compared to people who hunted for sport. “I used to travel… Kenji travelled, and I was with him,” she said, thinking about that time. It hadn’t felt like travel. It had felt like sitting in a caravan. Oh well. Oh! Right, she had to ask a question. “Oh… um… Do you… like spending more time at Lamia Scale, or Fairy Tail?” She knew Kotone did a lot of both. It was a good question, hopefully. Or maybe it was rude. Oh no. “N-not to be rude. I don’t know…” she mumbled quickly, feeling anxious. Maybe it was personal. “But you have now. That counts.” Kotone nodded to Ren’s statement, though she grew a bit of a blush on her cheeks when Ren suggested she could talk to him more, and that he liked her alright… no, he probably thought she was amazing. Amazing. Kotone tried not to act as awkward and full of butterflies as that thought made her feel. She might have done so for a while, but she’d never exactly gotten used to having to handle feelings of affection for someone beyond the normal friendship. She needed to distract herself. Fortunately, Ren was offering to travel more with Kotone. Kotone simply nodded at her mention of a Kenji. She’d not really said anything about her past, but Kotone had a feeling she didn’t like Kenji. Not based on how Ren was now. She was a sweet girl, but confidence issues always existed for a reason. Now, did Kotone like Fairy Tail or Lamia Scale better? Kotone actually giggled at that question. “I care about several people from both guilds,” she told Ren, thinking of Taiga, Roejaster, Hannah. “But if I’m honest, my best friend and my crush live at Lamia Scale. If I had to make a choice… I’d probably be there.” She’d had a lot more invites to stay on permanently at Fairy Tail. She’d always declined. Butterflies counted a whole lot. Ren didn’t know why, she just felt like it was the truth. Ren felt like she had a good grasp of how Kade felt about people. He wasn’t someone who hid his emotions. At least to the point he was polite when he was annoyed, and clear when he was happy. That was a good sign for Kotone, surely. Kotone missed having people to travel with. Ren didn’t really know much about what Kotone used to do. She always imagined her travelling on her own. “You used to travel with someone?” Ren asked curiously. It didn’t sound like the stoic loner Ren remembered. Ren blushed deeply when Kotone called her her first and best friend. “Th-thanks.” Of course it was true. Well, it was sort of true… in reverse. Kotone was Ren’s best friend. She wasn’t her first friend though. She bit her lip, both pleased with this and remembering Anya. It was hard for her to make sense of this in a healthy way. Ren allowed herself to be distracted by Kotone’s favorable answer about guilds. She preferred Lamia Scale. Because Kade and Ren. No, Ren and Kade. That was important. Ren smiled some more, “I’m glad. If you stopped travelled, you’d be stuck where you were. And I hope if you stopped, it would be near enough I’d still see you a lot… That’s why I think. I’m sure Kade would like that too.” She added that because she thought it would make Kotone happy. Also she figured it was true.